Kinetec Spectra Knee CPM (Continuous Passive Motion) Machine is an unbeatable combination of good looks and mechanical innovations. The entire spectrum of needs for knee patients can now be addressed with a carriage that accommodates all patients of age eight to 80 without any additional accessories. 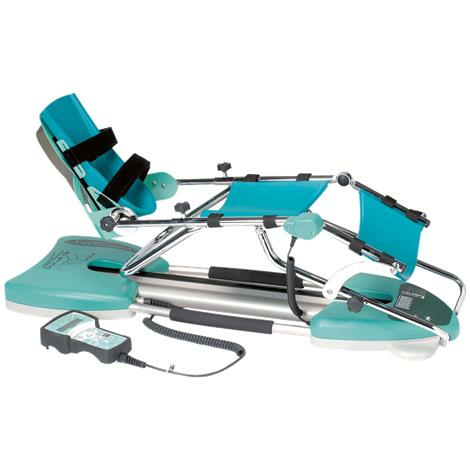 The machine is exceptionally easy to carry and offers a quick a set-up. The anatomically correct system increases the comfort of the patient and decrease the point of pressure. Speed from 45°/minute to 155°/minute. Femur: 33 to 46cm (13 to 18 Inch).